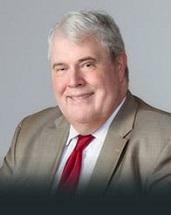 Kevin Kerr focuses his practice primarily in the areas of insurance defense and appeals. As an example, he authored the appellee's brief in Moons v. Keith, a case of first impression in Indiana involving uninsured motorist coverage issues, in which our client's summary judgment was affirmed by the Court of Appeals. Prior to joining the firm in 1997, Mr. Kerr was employed as an archivist and records manager for state and local government agencies in South Dakota and Illinois. Kevin Kerr has been an adjunct faculty member at Valparaiso School of Law teaching Legal Drafting.